The Park Lane had been around since the 1958 model year and aimed as a premium, full-size model for Mercury. 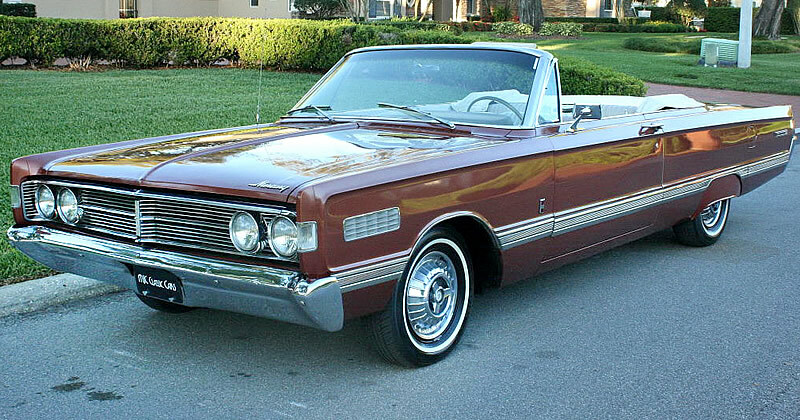 In it's second generation since 1964, the 1966 Mercury Park Lane Convertible you see here was now much more of a slab-sided affair than it was previously. Looking great in the rather striking Emberglo Metallic paint, the car also enjoys the benefit of power brakes and power steering, options costing $43 and $106 respectively when the car was bought new. Since it was new this Park Lane has done just a little over 22,000 original miles. Looking along the side we can see the lower body molding running the full-length of the 220 inch body - something that is unique to the Park Lane. At the rear there are the new for 1966, wraparound taillights. 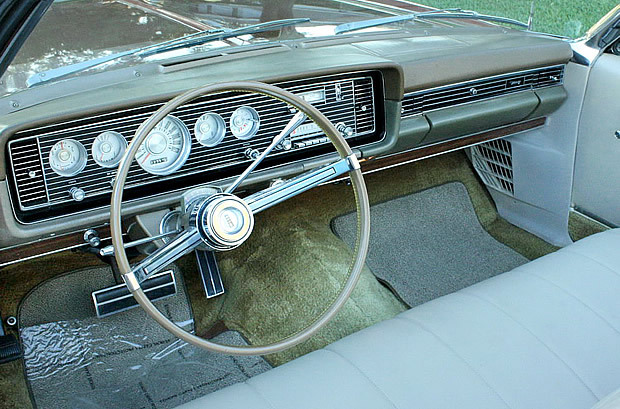 Convertibles enjoyed an all-vinyl interior and this one certainly looks in great shape. The instrument panel looks very classy and walnut-toned applique adorn the lower portion as well as the door panels. This particular Park Lane was also fitted with power windows which would have put another $106 on the base price. 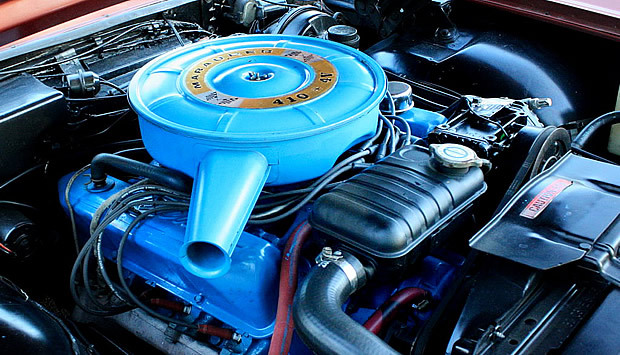 The '66 Park Lane comes equipped with the 410 cubic inch Marauder V8 engine with 4-barrel carburetor. Output is 330 horsepower. This is paired with a Merc-O-Matic 3-speed automatic transmission (C-6). Both were standard on this car. Mercury produced 2,546 Park Lane convertibles for the 1966 model year at a base price of $3,608 making it the most expensive of the series. How many are left is anyone's guess but we suspect there aren't too many, especially in this condition and with bucket seats.